Can a Deceased Person's Lawsuit Automatically Be Terminated? Occasionally during a lawsuit, especially a personal injury lawsuit where a person's health is at issue, one of the parties to the lawsuit can pass away. This unfortunate and unusual situation raises the issue of what happens to a lawsuit when a party dies, as well as whether the lawsuit is automatically terminated. Because lawsuits customarily pass to the deceased person's estate, the lawsuit generally isn't automatically terminated. In a civil lawsuit, if the plaintiff dies, the beneficiaries and heirs to the plaintiff's estate inherit the lawsuit. The person named in the deceased person's will as his executor, or the person named by the court as administrator of the estate if there is no will, can continue the lawsuit on behalf of the deceased person. If the case settles, the executor or administrator distributes the proceeds to the beneficiaries and heirs. To continue the lawsuit, most jurisdictions require that, within 90 days of death, a notice of death and a copy of the death certificate be filed with the court requesting that a successor to the lawsuit be appointed. A failure to do so could result in an automatic dismissal of the lawsuit. The executor or administrator appointed to handle the decedent's estate should consult with the beneficiaries and heirs of the estate before settling the lawsuit to ensure that there is no dispute regarding the resolution of the case. Similarly, when a defendant dies during a civil lawsuit, the estate is substituted for the deceased person. Most states allow the executor or administrator of the deceased's estate to handle the lawsuit without any input from the heirs or beneficiaries of the estate. As with the death of a plaintiff, in the case of a deceased defendant, it is generally prudent that the executor or administrator consult with the beneficiaries and heirs before agreeing to a settlement in the event that they have any opposition. 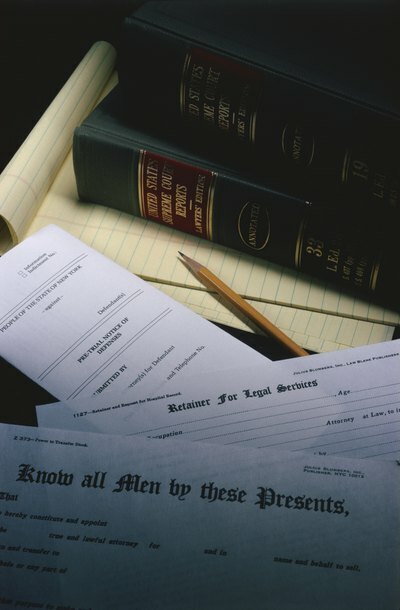 If the beneficiaries and heirs do agree, however, states generally provide that they cannot later change their minds and reopen the estate to dispute the settlement. Unlike plaintiffs, defendants do not have to file a notice of death since they are not the ones that stand to lose if the lawsuit is automatically dismissed. Regardless, in the case of both a plaintiff and a defendant, the continuation of a lawsuit can be difficult if the testimony of the deceased person is crucial to the case. Criminal cases are brought by the state or government and, as such, present a different and more clear-cut resolution. In criminal cases, if the person charged with the crime dies, there is no defendant to prosecute and any charges pending against him will be automatically dismissed. While most lawsuits can survive the death of a party, certain claims cannot. For example, punitive damages claims against a defendant rely upon the concept of preventing future harm. Likewise, pain and suffering damages alleged by a plaintiff are designed to compensate that party's ongoing pain. These claims are alleviated once the relevant party dies, thus, effectively terminating such claims. A contested will is the subject of a lawsuit that argues that part or all of the contested will is invalid. Any probate proceedings stop while the will contest is heard in probate court. If the will contest is successful, the probate court then ignores the part of the will that was contested or the entire will, depending on the contest case, and distributes the estate according to state law as if the will never existed. Beneficiaries named in a will may sue the executor based on the actions the executor took in managing the estate. State laws concerning the management of an estate vary and as such, consider consulting with a licensed attorney prior to any attempts to sue an executor. Can an Estate Be Sued?